Every man should own a pair! The print canvas uppers of the mens Farty casual shoes have a lived-in, vintage appearance. Small, stitched details in blue thread gives the illusion of repair and adds to the distressed design of the Hey Dude shoes, while three breathable eyelets on the instep reinforce the link between the laid-back style and comfort construction. With elasticated panels on either side of the tongue and heel, the slip-on Farty shoes provide an easy and custom fit. Adding a discrete touch of decoration in keeping with the Hey Dude Farty's simple styling is a bottle shaped pin on the right foot. The sole unit of the Hey Dude mens shoes is where all the magic happens; guaranteed to offer the amazing feeling of walking barefoot. The Flex & Fold technology offers incredible comfort and freedom for your feet, making for an ultra flexible shoe that adapts perfectly to you and your needs. The speckled white Dupont outsole is made from a resilient resin that is slip-resistant and anti-bacterial to prevent odours, while also absorbing the impact of every step. Inside the mens shoes is a real leather insole that can be removed and is perforated to allow air to circulate around the foot. A wonderful casual canvas shoe, the mens Farty from Hey Dude are sure to change the way you walk and no shoe will feel the same again. 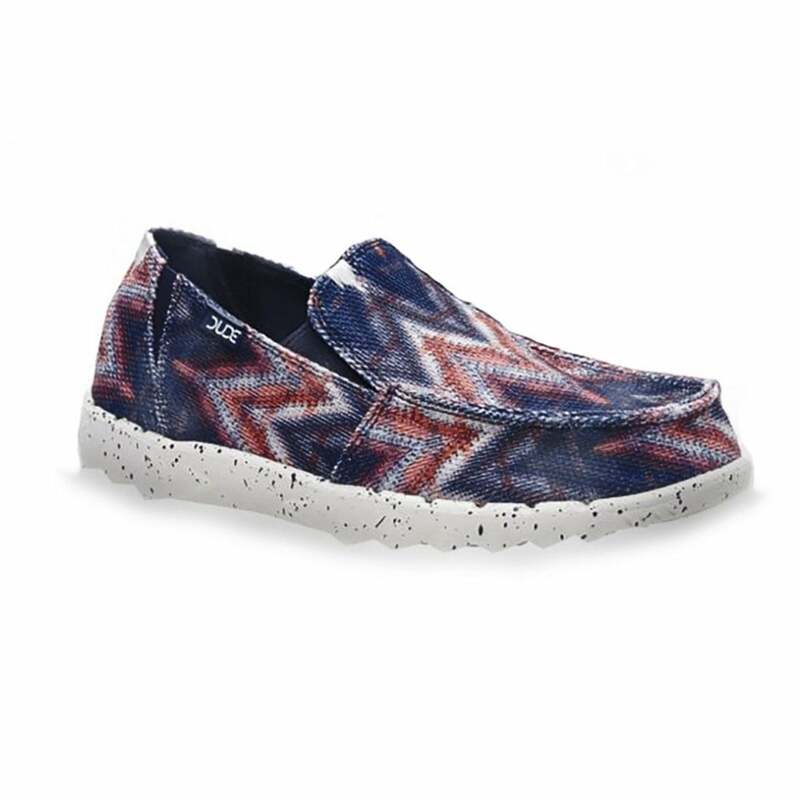 These slip-on mens shoes are some of the most comfortable you will ever own, and every man should get themselves a pair today!